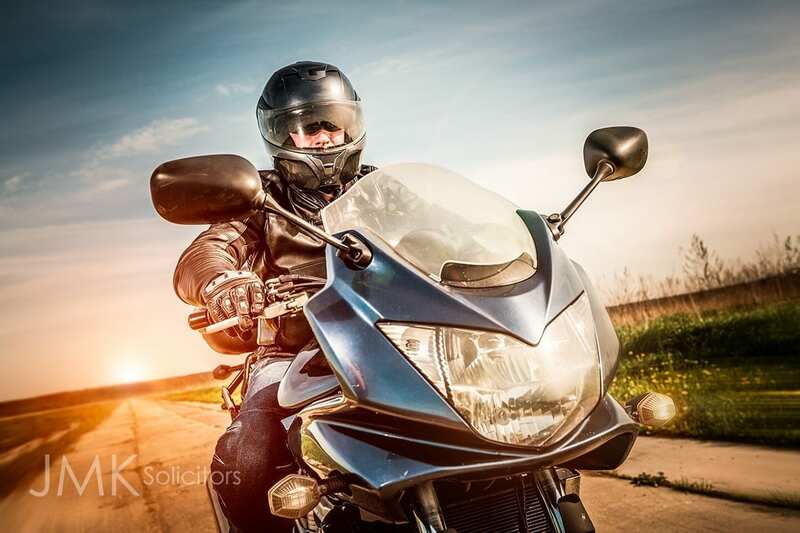 At JMK Solicitors we always strive to go the extra mile for our clients and a recent road traffic accident case involving a motorcyclist proved to be an example of how we do this. Our client was travelling along a country road when he encountered loose gravel and stones on the road. This resulted in our client coming off their bike and sustaining a substantial injury. Initially we submitted a claim to the relevant government department, alleging a breach of their duty to maintain the road which was unsuccessful. We had also decided to lodge an application with the Motor Insurer’s Bureau (MIB), who fund compensation for people involved in road traffic accidents where the at-fault party is uninsured or is not able to be traced. Our application was turned down by the MIB as they said there was no evidence supporting the allegation that the gravel on the road had been deposited by an untraced vehicle. We refused to accept this decision and we lodged an appeal with an Arbitrator, who overturned the decision of the MIB, stating that on the balance of probabilities the gravel had been left by a vehicle. The MIB had also suggested that our client was likely to have been to blame for the accident themselves however the Arbitrator also said that their opinion there was no contributory negligence. Our client will be able to recover full damages for his injuries from the MIB. They were naturally delighted with this outcome. Road traffic claims can be very complex like this example so we would urge motorists to get in touch with us if faced with a similar situation, for example accidents caused by spills of oil on roads. Even if your claim is initially rejected, all hope is not lost and sometimes other routes to recovering compensation can be explored and persistence often pays off. Established in 2003, JMK Solicitors operates from offices in Belfast and Newry, servicing clients from across Northern Ireland. If you would like to contact JMK Solicitors, please call 028 9032 0222 or www.jmksolicitors.com.